Join us for our Scholars’ Production of Educating Rita. Frank is a bored alcoholic lecturer of English who takes on Open University student, Rita, a hairdresser who wants to better herself. 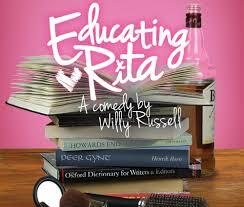 Little to either of them realise exactly how far the lines between student and teacher will be blurred in Willy Russell’s funny, moving and at times bleak study of society and ambition.